As cases of diabetes go up, so do the costs associated with the disease. According to new analysis, the costs associated with diabetes have more than doubled in the past two decades. With the average diabetes patient spending $2,890 more per year – more than half of that on medications – than they did in 1987. “People need to be mindful about the substantial increase in the cost of diabetes. Which has been partially fueled by the rising prices of newer drugs,” said Xiaohui Zhou, a health economist at the Centers for Disease Control and Prevention who headed the study. Diabetics also spend more than those without diabetes on health care, researchers found. Zhou and colleagues compared data from 1987, 2000-2001 and 2010-2011, looking at the expenditures of 22,538 people, and found that diabetics spent about $2,500 more than those without diabetes in 1987, a number that rose to $4,205 in 2000 and $5,378 in 2010. While more than half of diabetes health care costs were associated with medication. Patients now use more medication, and the costs of diabetes meds have risen significantly. 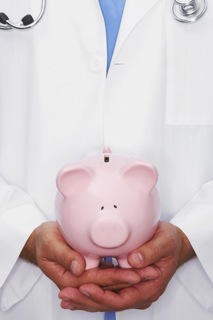 Patients also spent more money on inpatient visits, outpatient visits and ER visits. People with diabetes in other developed nations are also spending more for diabetes medications, Zhou said. The American Diabetes Association had previously reported that diabetes-related complications accounted for more of the cost to diabetes patients that the actual treatment of the disease. New drugs and more complicated drug regimens account for the shift in spending. The rising costs, Zhou said, call for more focus on disease prevention rather than disease management. “This growing trend of diabetes cost is simply unsustainable. Besides the efforts to bend the treatment cost, the efforts to reduce the number of future diabetes patients are imperative,” says Zhou.